North Vancouver, BC, Canada along with the District of North Vancouver and West Vancouver, form what we call the "North Shore". The landscapes and seascapes of the North Shore go from sea level to high elevation mountain peaks. At sea level the North Shore is situated on the shores of Burrard Inlet. Up high, behind North Vancouver, are the Seymour, Fromme, Grouse and Goat Mountains. Top attractions, adventures and activities most enjoyed in and around North Vancouver, BC, Canada and the surrounding areas are biking, hiking, paragliding, backpacking, flightseeing tours, kayaking, wildlife tours, golfing, SUP, rollerblading, rock climbing, swimming, zip lining, camping, boating, sailing, fishing, beach combing, picnicking, scuba diving, downhill skiing and snowboarding. A few of the more popular, some would say best, activity destinations located in and around North Vancouver, British Columbia includes the Capilano Suspension Bridge (Vancouver's oldest attraction), Capilano River Regional Park (Cleveland Dam), Lynn Canyon Park (Lynn Canyon Suspension Bridge), Grouse Mountain (Grouse Grind), Mount Seymour Provincial Park, Norvan Falls, Big Cedar and Kennedy Falls Trail, Lower Seymour Conservation Reserve, Waterfront Park, Maplewood Flats Conservation Area, Cates Park, Panorama Park and the Baden Powell Trail. What are the Accommodations, Services and Amenities in North Vancouver, BC? North Vancouver places to stay, services and amenities important to travelers include accommodations (resorts, hotels, motels, inns, bed and breakfasts (B&Bs), vacation homes, cottages, cabins, lodges, hostels), campgrounds, tours, guides, outfitters, attractions, big box stores, nightclubs, restaurants, laundromat, coffee shops, wineries, breweries, casino, spas, grocery stores, pubs, liquor store, banks, gas station, gift stores, and internet service. Best North Vancouver, BC history, entertainment, culture and art venues includes the Lynn Canyon Ecology Centre, Gordon Smith Gallery of Canadian Art, Lonsdale Quay Market, and the North Vancouver Museum. 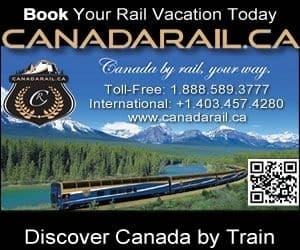 How Do I Get To North Vancouver British Columbia? Transportation services getting to and from North Vancouver, British Columbia include the main highway of course (Highway #1), and then there is taxi, bus, car rental, marina, rail, TransLink Seabus and the (YVR) Vancouver International Airport (33 minute drive - 24 kms) and the BC Ferries Tsawwassen Terminal (46 minute drive - 48 kms) and Horseshoe Bay Terminal (18 minute drive - 19 kms). eh! Plan to Visit North Vancouver, BC today.